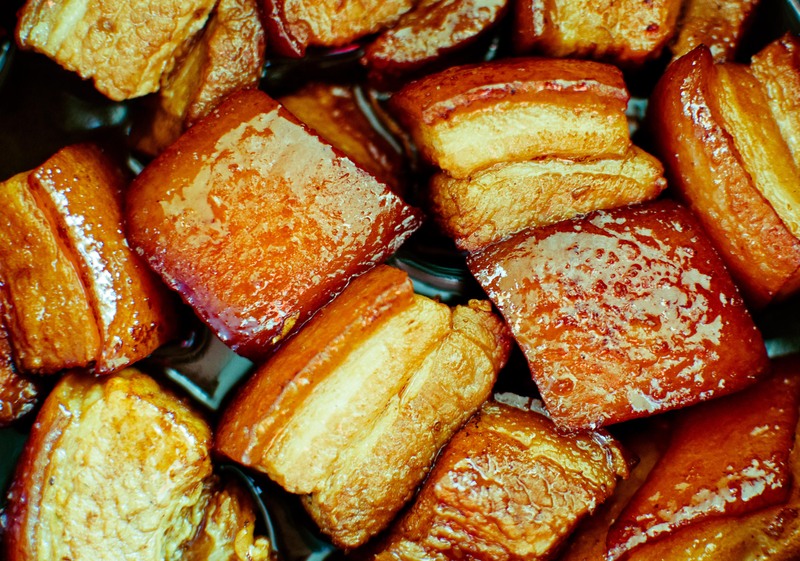 Stewed pork belly in a soy based glaze is a favorite dish of my childhood. Fatty marbled pieces of pork are cooked until full of flavor, glistening in the sweet dark glaze. They are delicious on the first day and just as good, if not better, reheated the next day. The dish is complete to me when I drizzle some of the glaze on the bottom of the pot over hot rice, turning each kernel into a rich dark color.